Earthtone tom drumheads are made with genuine calfskin. Changing to calfskin drumheads will produce a warm and full tone out of your kit. The drumheads are mounted the same as a Mylar head, making installation very easy. The tom drumheads have an inside dimension of their size plus 1/8". The thickness ranges from 11-18 mils. Unlike vintage calfskin heads, Earthtone heads are specially tanned and treated to reduce fluctuation in tuning the tom drums. When tuning your drum kit, the heads should settle after 2 to 3 days. Earthtone drumheads bring vintage kits back to life. Brushes add a whole new element when played on the textured heads. Earthtone drumheads are some of the best heads for recording. 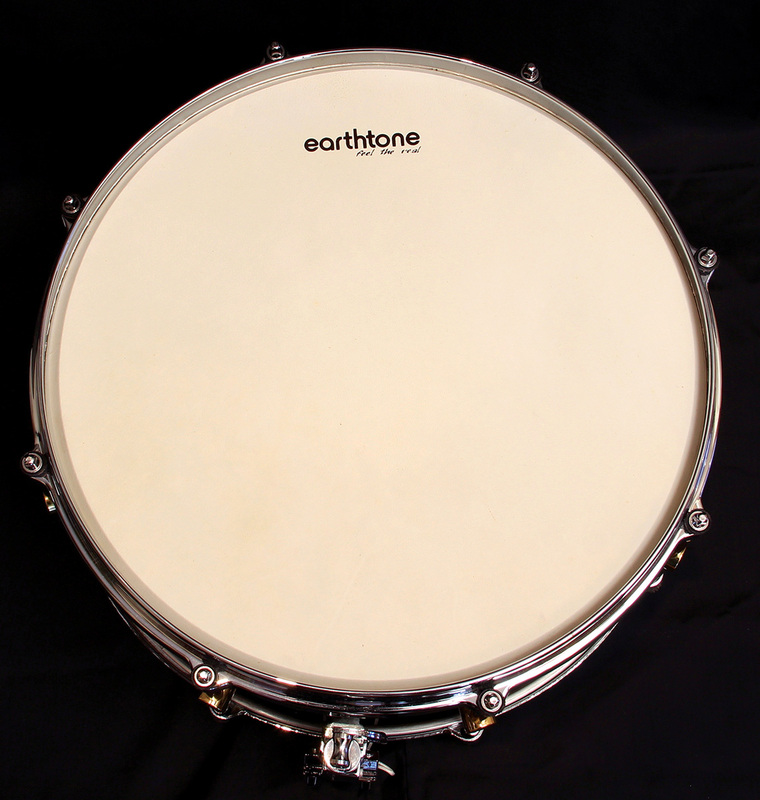 When it's time to replace your drumhead, give Earthtone drumheads a try.